If we cannot help you directly at our centre we will help you find the best place which can. 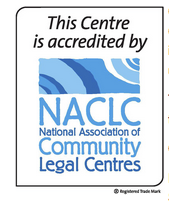 To find other community legal centres see here. We provide services to people who live, work or study in Flemington or Kensington. Our Migration program and Police Accountability programs accept clients and referrals from around Victoria on a case by case basis. Our Safe from Harm program focuses on the Flemington Housing Estate. We also make and accept referrals from surrounding Community Legal Centres (CLCs) on a case by case basis. Call 9376 4355 or visit the centre during office hours to make an appointment. You can also contact us here. Our Funders The Centre’s core funding is provided by Victoria Legal Aid and the Commonwealth Community Legal Services Program as part of the National Partnership Agreement for Legal Assistance Services (2015-2020).